First pics from Gaelscoil and help, my Internet connection has broken!!! A very brief post today…… I'm busy working on my project with the Gaelscoil and unfortunately an essential connection to my modem has broken, NO Internet at home for a few days. Thanks Dawn for putting a message on Facebook saying I was out of cover, I've just logged in for a minute to upload this picture via a hotel's connection, cheeky! This gives a good idea of the scale of the wall hanging I and the pupils are working on, it's huge!!! 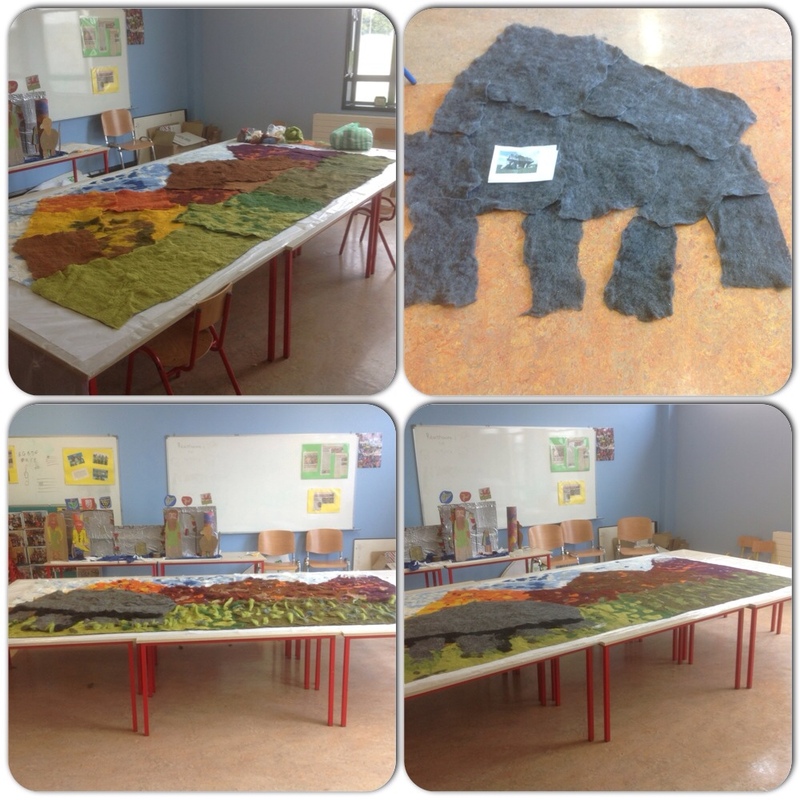 This entry was posted in Uncategorized and tagged Felt, felt picture, felt pictures, felt wall felting, felt wall hanging, felt wallhanging, Gaelscoil by Nicola. Bookmark the permalink. The wall hanging is going to be fantastic! The children must be so excited to be working on such a marvelous project. Hope your internet issues will soon be resolved.